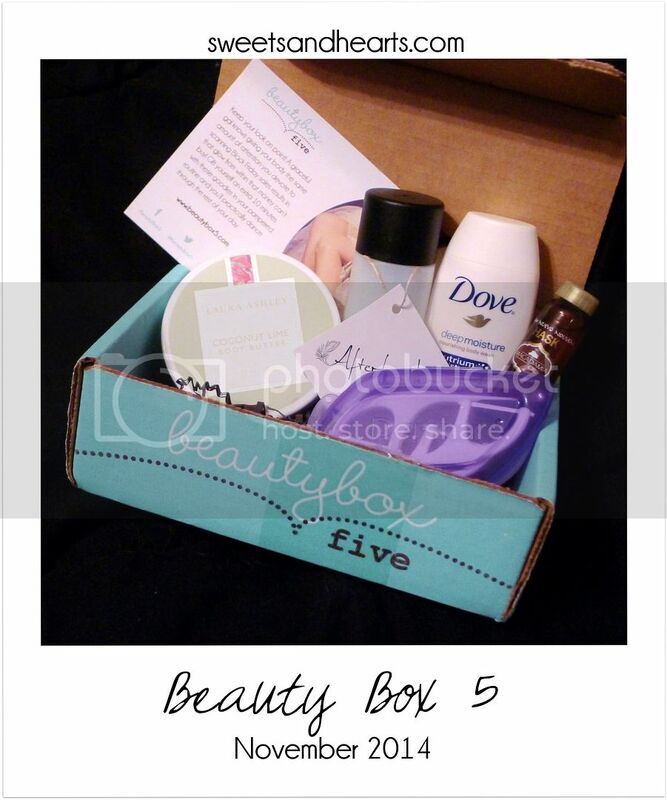 As if they could sense I'm majorly in need of a mini getaway, Beauty Box 5 sent over a box of tiny travel-worthy goods! Read on for the review. Afterfeather - Refillable Travel Bottles - TSA-approved and cute, these refillable bottles are reusable and perfect for packing all your lotions and potions for short trips. The unique designs will help set you apart from the crowd, too. DenTek - Floss Picks + Case - I love that these floss picks come with their own carrying case. They're definitely a must-have for your travel bag! HASK - Macadamia Revitalizing Shine Oil - The sweet and mild scent is reminiscent of warm butter cookies and you only need to use a little at a time. I smoothed a dime-sized amount on my hair before blow-drying as usual, and it added a little shine and helped tame some frizzies. Laura Ashley - Body Butter - Decadent and seriously moisturizing. I got the coconut lime and it smells amazing--a little tropical but not overpowering. It comes in a set of six, so you can take a different one with you each time you go on vacation. 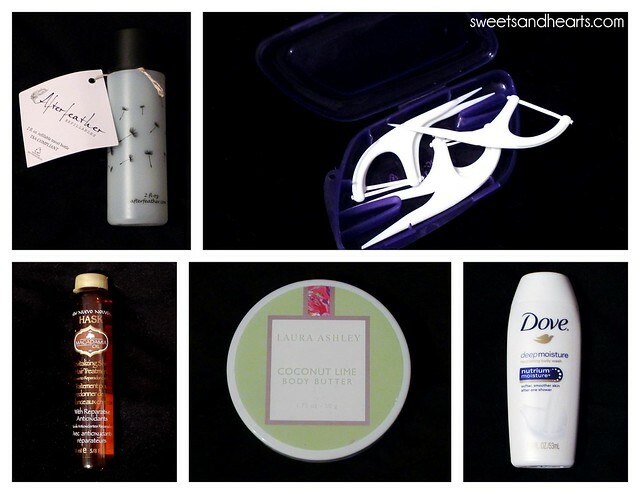 Dove - Deep Moisture Body Wash - I've always loved this body wash--it's a classic for a reason! It has a rich lather and leaves your skin feeling soft and smooth.